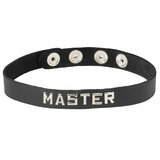 3.5-inch wide leather posture collar with 3 steel rings, designed to keep your head in an upright position. 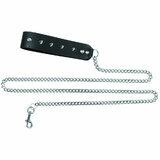 Buckle closure adjusts from 12.5 inches to 16 inches. Hand crafted in America, made of top quality oil-tan leather. Heavy duty buckles and fastenings.